Other photos: Photo 1, Photo 2, Photo 3, Photo 4, Photo 5, Photo 6, Photo 7, Photo 8, Photo 9, Photo 10, Photo 11, Photo 12, Photo 13, Photo 14, Photo 15, Photo 16, Photo 17, Photo 18, Photo 19, Photo 20, Photo 21, Photo 22, Photo 23, Photo 24, Photo 25, Photo 26, Photo 27, Photo 28, Photo 29, Photo 30, Photo 31, Photo 32, Photo 33, Photo 34, Photo 35, Photo 36, Photo 37, Photo 38, Photo 39, Photo 40, Photo 41, Photo 42. PLEASE CALL OR EMAIL FOR LATEST PRICE AND SALES CONDITIONS. Built in 2011 and first commissioned only in 2014, this is the last Hatteras 64 Convertible delivered by the Hatteras Yachts shipyard. Fully built in 220V/50Hz systems and CE Certified by the yard, this is 64C was originally built for the European market since the origin and not an after-market conversion. The Hatteras 64 Convertible not only advances the legend of Hatteras sportfishing convertibles, it is sure to create a legend in its own right! 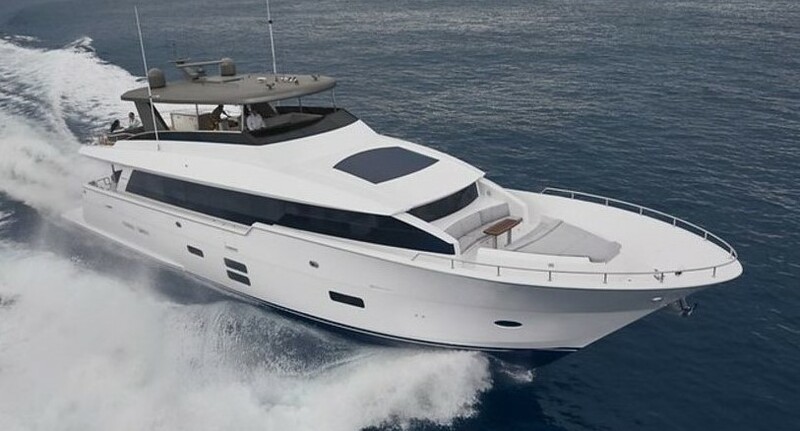 Like its predecessors, the 54 and 68 Convertibles, the 64 features an unprecedented array of sophisticated features, including Hatteras' advanced convex hull design for smooth ride and optimum performance, best-in-class specifications, high-tech solutions to propulsion and ship's systems challenges, and spacious accommodations ideal for self-sustaining fishing in distant waters.